4 Bedroom Semi Detached House For Sale in Bedfordshire for £392,950. Plot 466 - South West Facing Garden Corner Plot with Garage and Parking. -Commutable To London In 30 Min!! - Entrance Hall with storage and a cloakroom. - A separate good sized living room with French doors that open out to the garden. - A sizeable open plan Kitchen and family/breakfast room that includes French doors opening out to the garden. - The stairs lead up to a spacious landing which leads to a master bedroom that includes fitted wardrobes and an en-suite. As well as a further 3 bedrooms and a family bathroom which includes a bath. - Externally there is a Garage with light and power where applicable. As well as an enclosed rear garden with a patio area and a garden shed for useful extra storage. 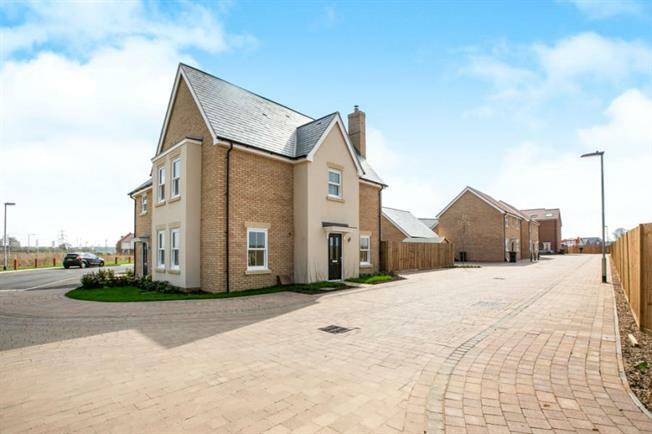 The Hatley is a stunning semi detached four bedroom property set on a thriving new and vibrant development within the charming market town of Biggleswade. The development has a desirable location perfect for families with good schools and amenities nearby. As well as being a great location for professionals with an approximate commute of only 30 min into London. Built by award winning house-builder Martin Grant Homes. Images shown are examples from our Martin Grant show home.